Polly Price, professor of law and global health, is a 2017 Andrew Carnegie fellow. Price will write a book on how governments confront contagious disease. Emory law professor and immigration expert Polly Price says tuberculosis is on the rise among Mexican- and Latin American-born persons, and it's a concern along the border, especially with the influx of children recently. Polly J. Price, professor of law and professor of global health at Emory University, has been named one of 35 recipients of the 2017 Andrew Carnegie fellowship. Each fellow receives up to $200,000 toward the funding of significant research and writing in the social sciences and humanities—the most generous stipend of its kind. “The book’s premise is that we have much to learn from the study of governmental response to public health crises in the past,” says Price. Drawing from historical examples, the book will provide a set of important lessons for lawmakers. “The goal is to help initiate, encourage and frame the terms of public debate on how government may best respond to health threats in the future,” Price says. As a professor of both law and global health, Price is well-placed to provide insights on government responses to epidemics. 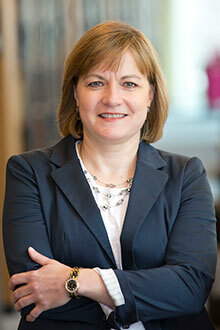 She also serves as a faculty member in health law and regulatory policy with the Emory Antibiotic Resistance Center. In 2013, Price was one of six professors chosen for the Robert Wood Johnson Foundation’s Scholar-in-Residence Program in public health law. In that capacity, she worked with the Centers for Disease Control and Prevention’s Division of Global Migration and Quarantine, the Texas Department of State Health Services, and the U.S.-Mexico Border Health Commission to study tuberculosis control measures along the southern U.S. border. Price’s book will present three examples to shed light on both successes and failures in government responses to past epidemics: yellow fever in the 19th century, tuberculosis and the modern challenge of antibiotic drug resistance, and HIV/AIDS. Other Carnegie fellows’ winning proposals this year address issues such as inequity in U.S. education, radicalization via social media, human trust and autonomous technology such as driverless cars, global governance of technology that can engineer climate change, voting and election processes in the United States, the legal limbo facing immigrants, misinformation that exacerbates the European refugee crisis, the global increase in violence against women in politics, and explorations of W.E.B. Du Bois’s democratic vision and Edmund Burke’s political theories. Each year as part of the fellows program, the Corporation seeks nominations from more than 600 leaders representing a range of universities, think tanks, publishers, independent scholars, and nonprofit organizations nationwide. For the class of 2017, they nominated some 200 candidates whose proposals were reviewed and rated by one or more of the 33 prominent scholars, educators, and intellectuals who serve as anonymous evaluators. The jurors were asked to consider the merits of each proposal based on its originality, promise, and potential impact on a particular field of scholarship. This year, 19 men and 16 women, representing 14 public and 21 private institutions, received fellowships. The anticipated result of each fellowship is a book or major study. Read more about the Andrew Carnegie Fellows Program, including the work of past honorees, and view an interactive timeline featuring the history of scholarly research at the Corporation.